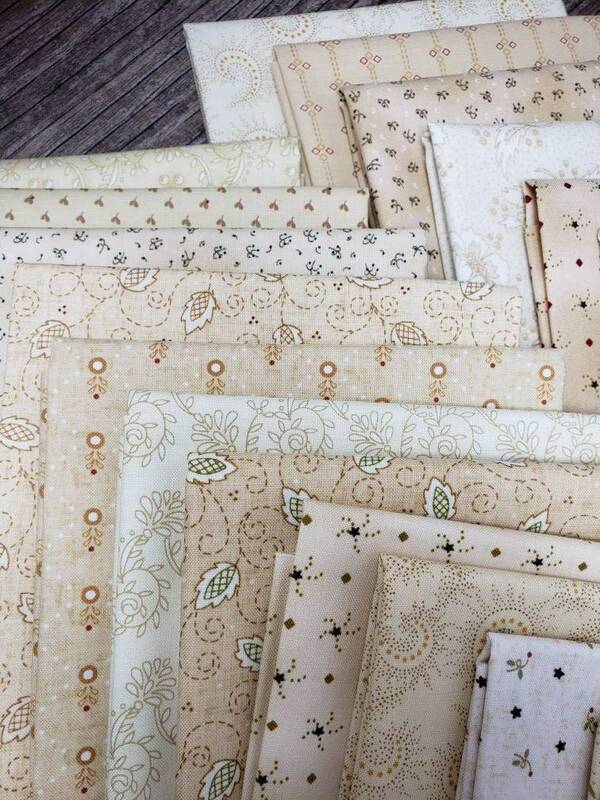 Use these neutral fabrics to combine with homestyle, farm style prints to make quilts that have attractive patchwork designs. 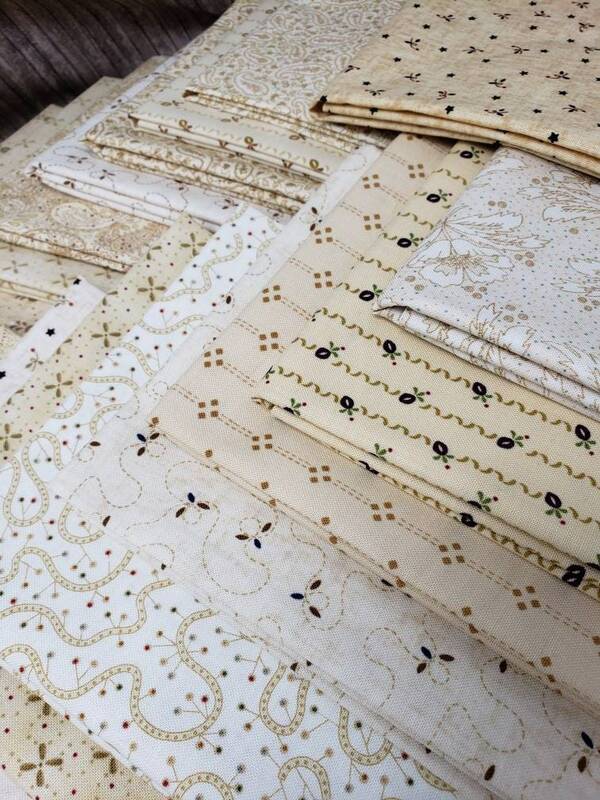 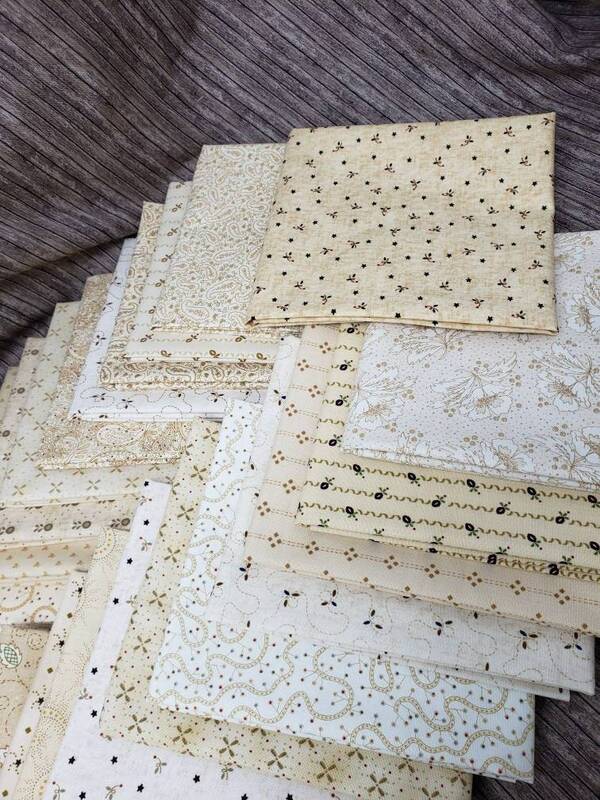 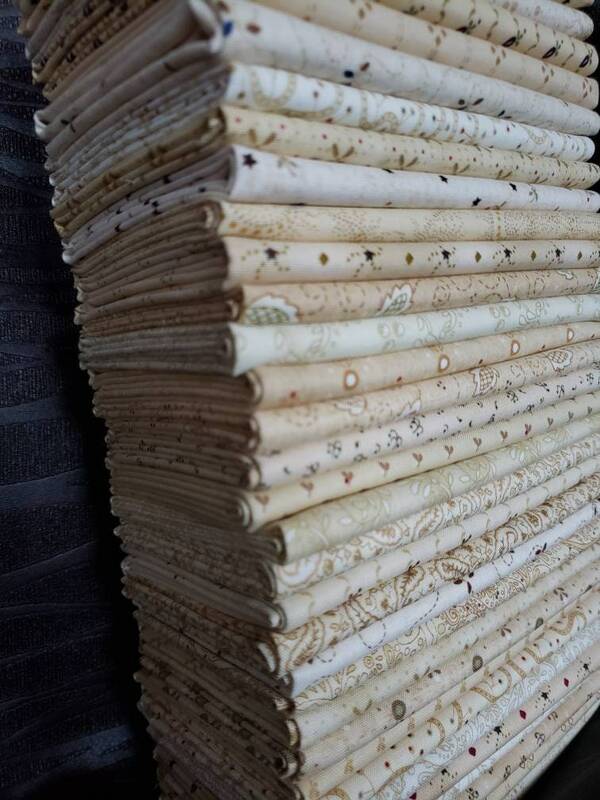 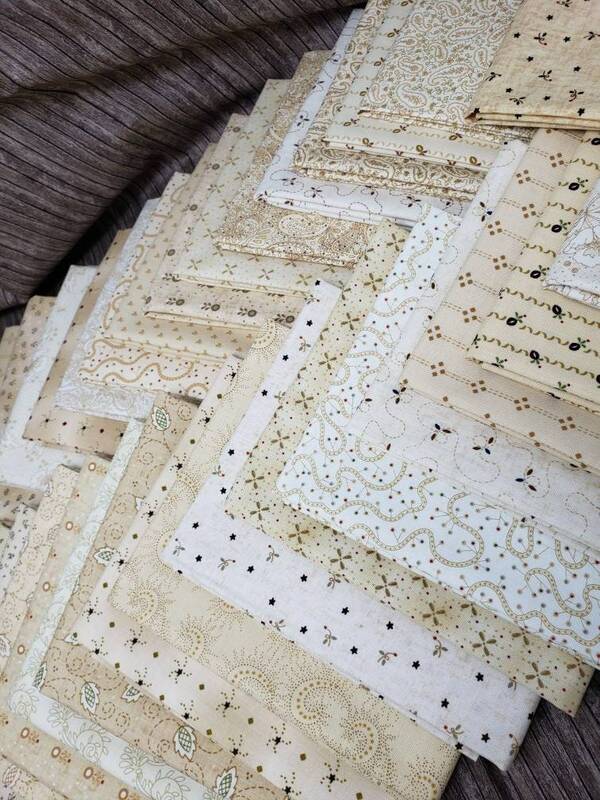 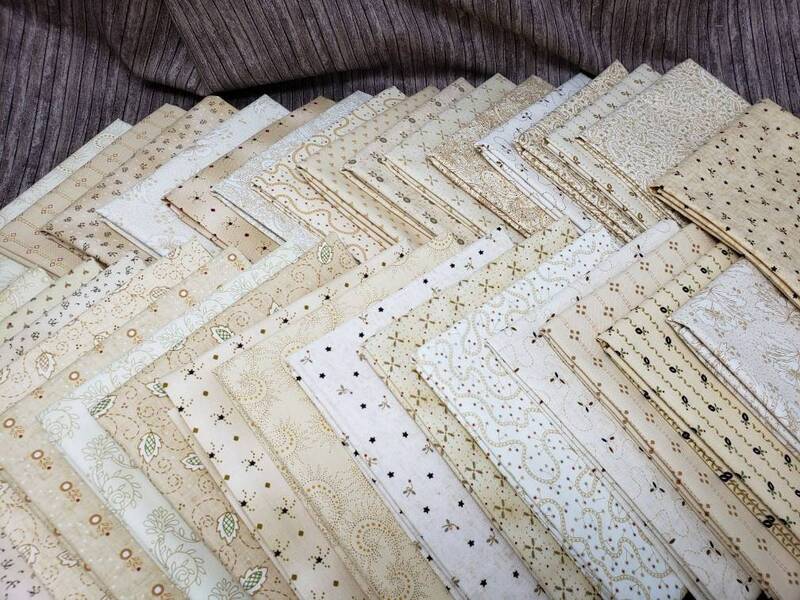 I've put these fat quarters together of 31 different creamy prints to help quilters have all of the Butter Churn Basics by Henry Glass Fabrics in sufficient quantities to complete several lap size quilt projects. 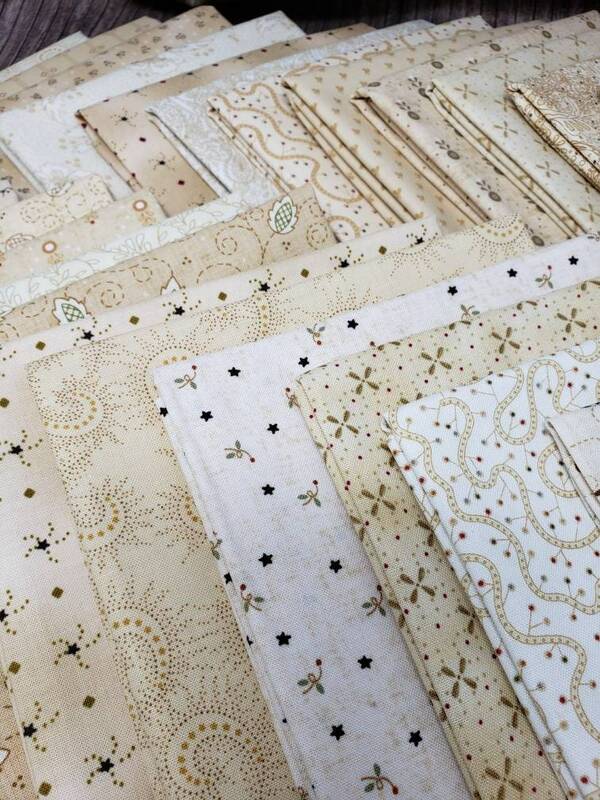 Mix these neutrals into quilts you find in Kim Diehl's many books. 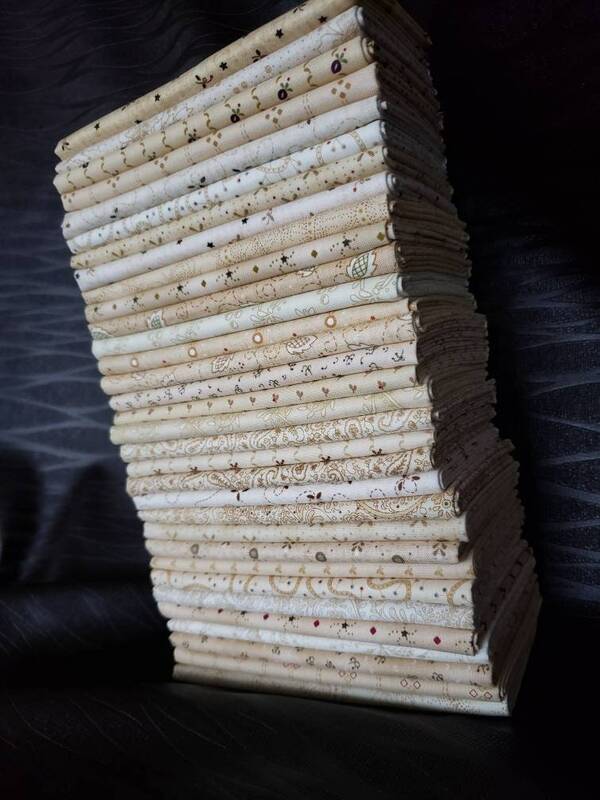 I carry most of her books, at least the ones that are currently in print. 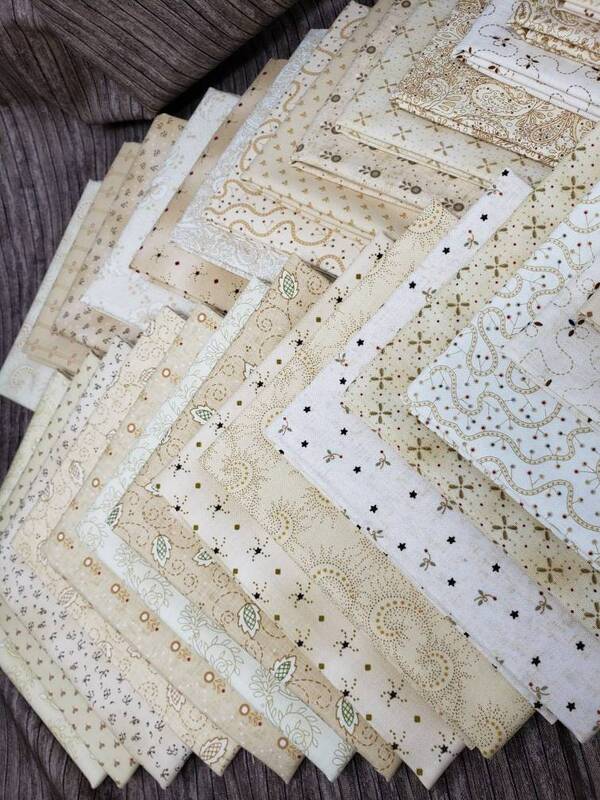 Let me know if you need any help with other Kim Diehl fabric bundles. 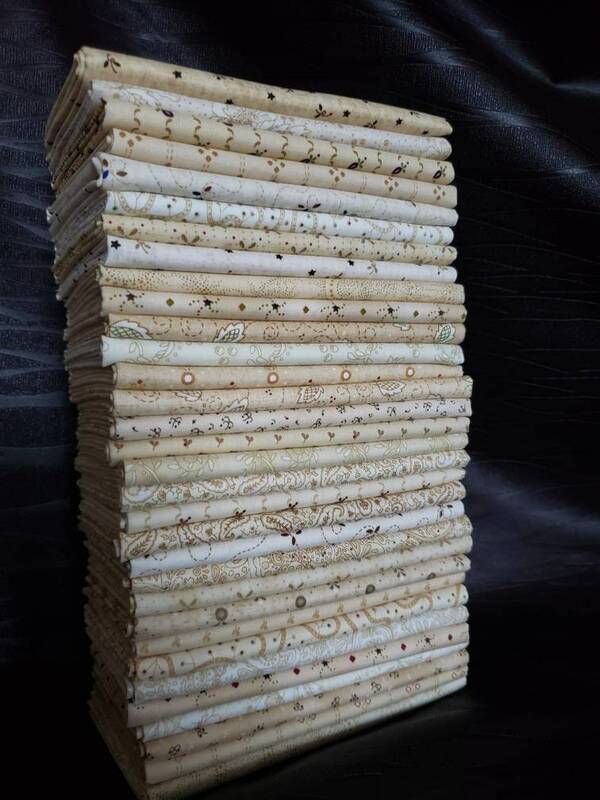 Each fabric cut measures approximately 18" x 21"